Unlike other charts, that uses lines or bars this chart only uses markers or dots. Scatter charts are known by different names, scatter graph, scatter plot, scatter diagram or correlation chart. This chart is between two points or variables. The first variable is independent, and the second variable is dependent on the first one. The main use of scatter charts is to draw the values of two series or variables and compare them over time or any other parameter. 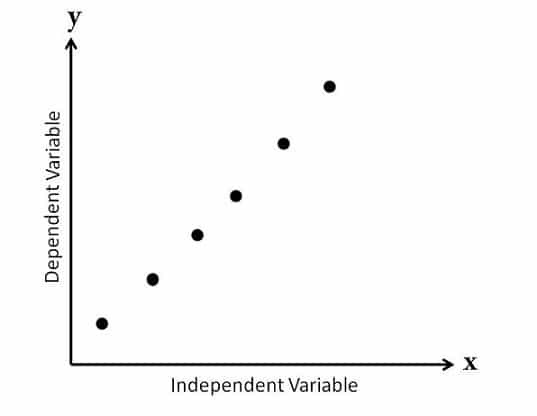 The independent variable also called the control parameter, that systematically increases, or decreases is plotted along the horizontal or x-axis. The dependant or measured variable is plotted along the Y-axis. 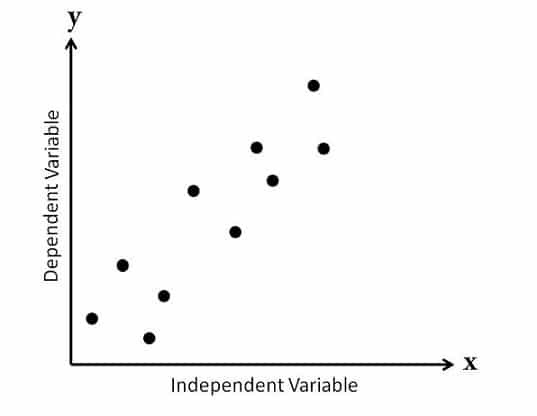 If there is no dependent variable, then either of the variables can be plotted on any axis and chart provides us with the degree of difference between these two variables, which is better known as correlation. If all the dots are close to making a straight line, the correlation is high. But if they are arranged equally, the correlation is low. If the graph forms a band from lower left to upper right, it indicates a positive correlation between the variables and if it goes the other way around, that is, goes from upper left to lower right, that shows a negative correlation. 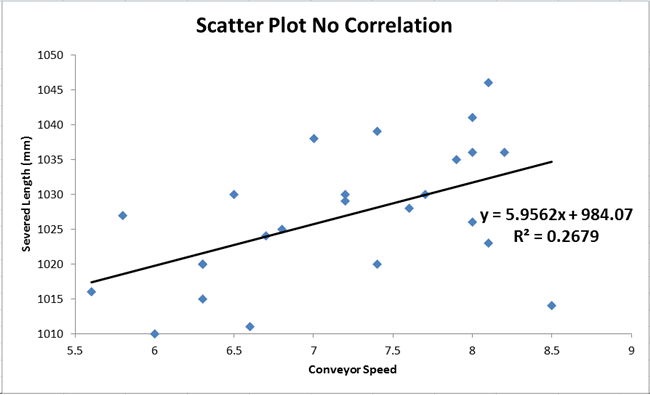 Scatter plots are a good way to predict and determine the nature of an unknown variable by plotting it with a known one. For example, suppose you want to show the pattern of accidents happening on the highway. The two variables that need to be considered will be, the number of accidents and the speed of vehicles. 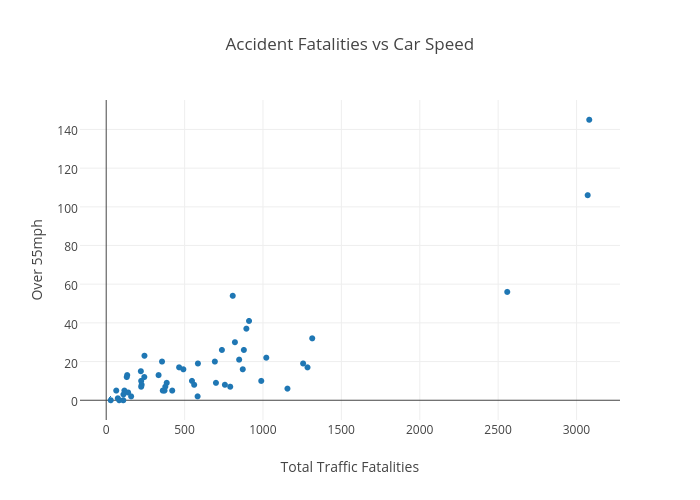 The resultant graph will show you how the number of accidents increases with increase in the speed of vehicles and thus depict the correlation between them. 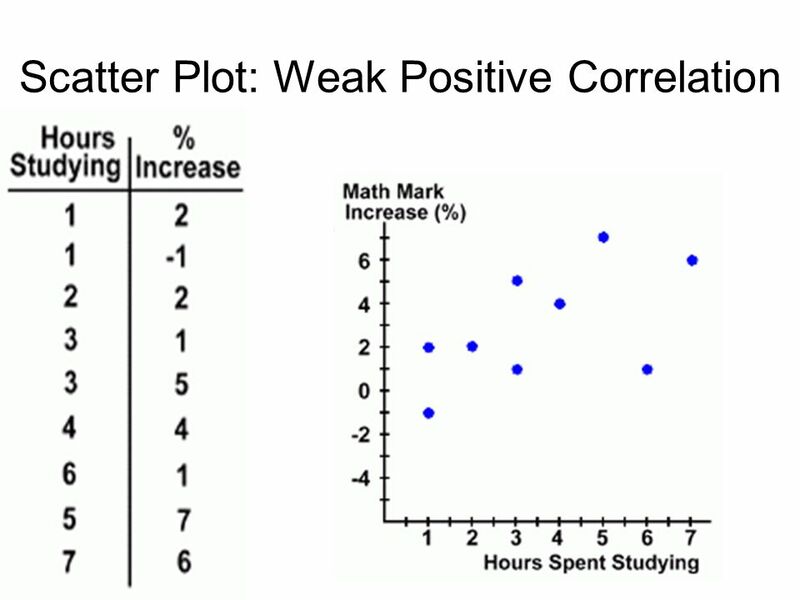 Scatter plots can have a third variable introduced in them, by changing the color or size of the dots. To make this clearer, let us take an example, suppose you are portraying a relationship between height and weight of children. In this chart, if you want to add another variable, say, the gender of the children. Then each dot can be given a specific color in accordance with the gender of the child. The resultant graph is represented below. Scatter charts can be divided into different types based on, their correlation and their slope type. Based on their correlation, scatter charts are divided into three types. In this type of chart, the data is plotted in dots, keeping the dependent variable in the y-axis and independent variable in the x-axis. Then we can observe that all the markers or data dots are closely arranged in a linear way, such that a line can be drawn by joining them. Thus, denoting the strong correlation between the data. This chart is also called “Scatter Diagram with a High Degree of Correlation”. In this type of chart, the data points are arranged somewhat closer to each other. They are not fully linear, and you cannot draw a straight line through them. Nevertheless, it can be observed that a certain kind of relation exists between the variables. This chart is also known as “Scatter Diagram with a Low Degree of Correlation”. In this type of chart, it can be observed that data points are scattered all over the place and no relation can be made from them. This chart is also called “Scatter Diagram with No Degree of Correlation”. Scatter charts can also be categorized based on slopes, changes, or data points. In this type of scatter chart, the correlation between the variables plotted is strong. The variable change is proportional, so as one variable increases, so does the other. The variables are said to have a positive slant and thus the chart is called “Scatter Diagram with a Positive Slant”. The data points in this chart form a straight line. For example, if are to compare, the number of people who buy movie tickets and the money spent on buying them, we will get a straight line. In this type of graph, both variables have an almost linear relationship. That is, when one variable increases, the other variable to show signs of an increase, but the data points do not form a straight line. For example, if we take the number of hours a student prepared for an exam versus the marks they received in the exams, the chart formed may not be completely linear. In this type of chart, as the independent variable increases, the dependent variable decreases, and the graph forms a straight line. Thus, a negative relation is found between both variables. For example, when the temperature increases, the winter clothing sale decreases. 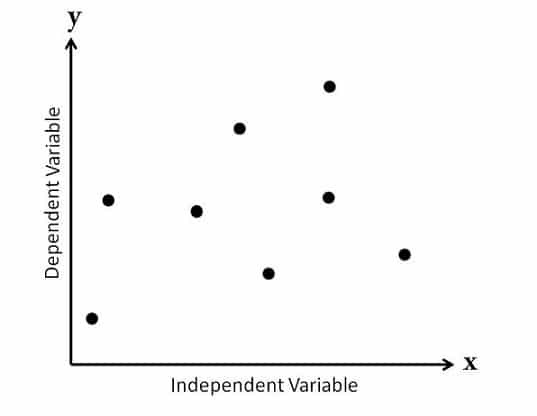 In this type of graph, the variables are partially linear and show a negative correlation. That is, when x variable increases, y variable tends to decrease but the graph does not form an exact straight line. For Example, hours spent watching TV vs the GPA of a student. These charts have variables that are in no way related to each other. The data in this graph can be of scattered dots or a row of them, arranged in a way that they have no possible relation. The x variable does not affect the changes on the y variable. For example, there is no relation between the number of shoes in a shop and the salary of the salesperson. Scatter charts are useful when one needs to represent the correlation between large data. It is a useful tool for deriving the correlation between two variables. It is considered an apt method to show the non-linear relationship in data. Readers find this graph easy to plot and understand. Scatter charts can show the relationship between two variables but do not give you the measure of the same. The range of flow of data in scatter graphs is readily visible and maximum and minimum points can be spotted easily. It gives you the exact data points and values in the graph. Scatter charts do not display the correlation between more than two variables. Only data that can be numerically compared is plotted in a scatter chart. Hence, we have come to understand what scatter charts are and their features. Now you know where to use a scatter chart and what type of data suits it.